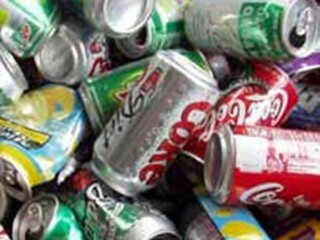 Is Recycling A Few Aluminum Cans Worth The Trouble? • The energy saved by recycling one aluminum can is enough to run a television for three hours. • In three months, Americans throw away enough aluminum to rebuild the US commercial air fleet. • Americans threw away half a million tons of aluminum last year, worth nearly $800 million. • The energy needed to replace the aluminum cans discarded in the United States each year could power a city the size of Atlanta for a year. You don’t have to do any special prep, either. Just rinse ’em and throw ’em into the bin. Find recycling centers for your area here. The search toolbar is at the top of the page. This entry was posted in Conservation, Energy, Environment, Technology and tagged Activism, aluminum cans, aluminum recycling, Conservation, Energy, Environment, recycling, Technology on November 10, 2011 by Bill. This is good stuff Bill, thanks. A lot of it I was not aware of before this, you always find or post the interesting and sometimes, unusual.